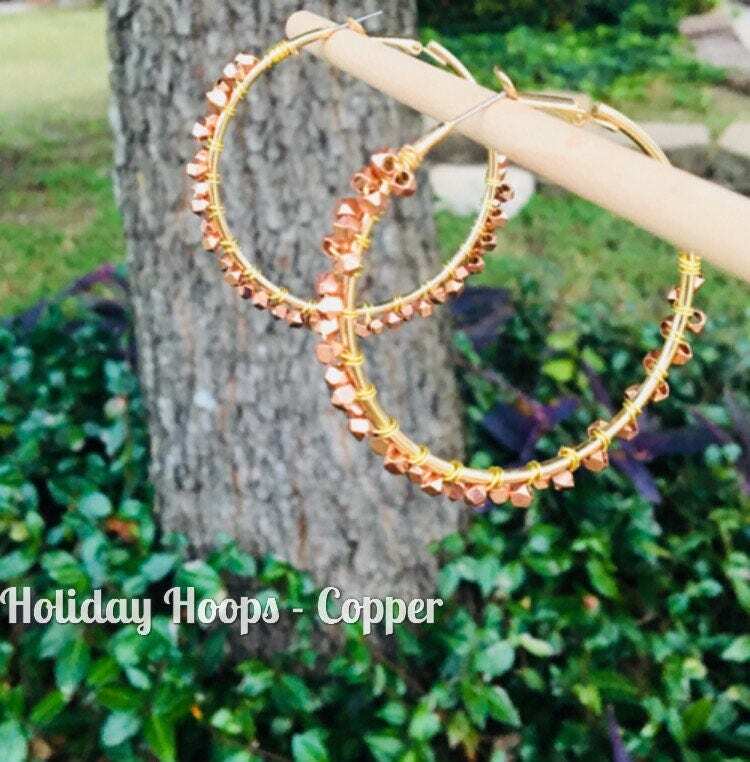 Classic hoops with a metallic twist. 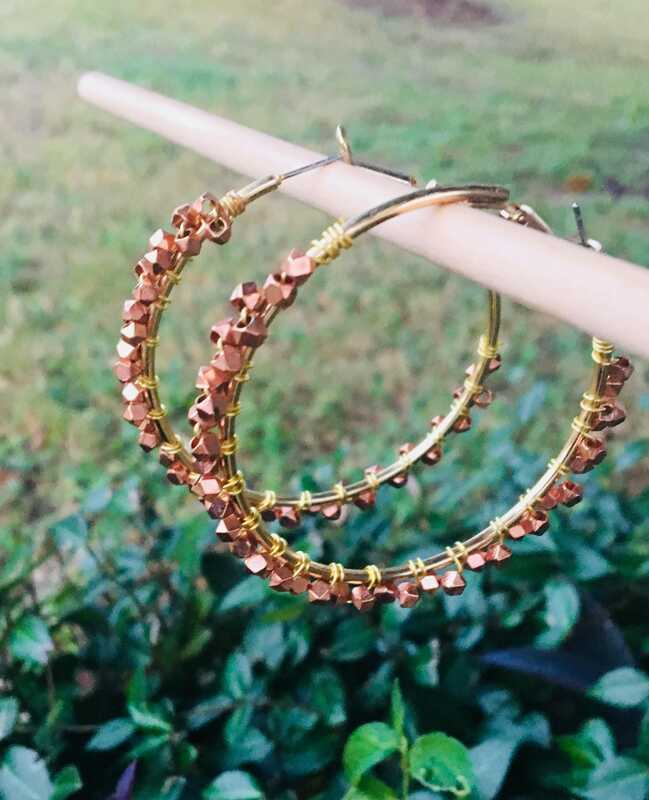 These large hoops are 55 mm in diameter, copper wire attaches stunning galvanized rough edged copper-bronze beads to a gold platted surface. Light reflects from the beads edges casting a glow on the peaks of the face. These are a perfect Valentines or Birthday Gift for your girlfriend or wife. Made in the RAreHands Boutique Studio by myself Kate Kaufman, the owner and designer. Having been diagnosed with Rheumatoid Arthritis almost 20 years ago I started RAreHandsBoutique to inspire people with chronic illness to be creative as a form of therapy. RAreHandsBoutique gives back 10% of profit to Arthritis research.